Surrey Satellite Technology Ltd. (SSTL) and Oxford Space Systems (OSS) have been awarded National Space Technology Program funding to develop an innovative and stowage-efficient Synthetic Aperture Radar (SAR) payload. Artistic rendition of SSTL's future tech demo mission flying the new OSS deployable SAR antenna. 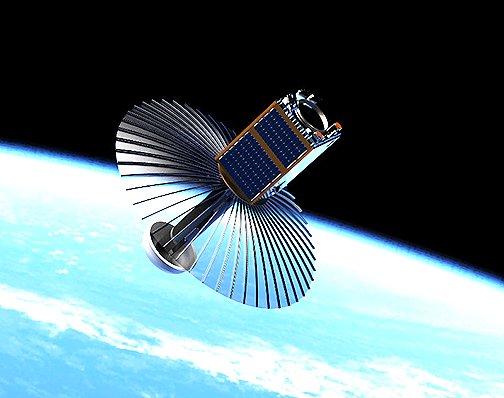 Image is courtesy of SSTL. Although an essential part of many geostationary telecoms satellites and likely to form a critical part of a large number of smaller, LEO spacecraft, Europe currently does not have a flight-proven deployable antenna solution. Existing deployable reflector antenna technologies tend to fold like an umbrella into a long cylindrical form which is not compatible with small launch envelopes and have significant structural challenges involved in supporting the cylindrical antenna during launch. The OSS novel deployable ‘wrapped-rib’ SAR antenna is highly stowage-efficient and deploys from a ‘doughnut’ type configuration. SSTL has been working on low-cost SAR mission solutions for many years and in 2018 launched NovaSAR-1, a 450 kg., low cost, S-band SAR technology demonstration mission that is acquiring SAR data for mission partners the UK Space Agency, Australia’s Commonwealth Scientific and Industrial Research Organisation and the Indian Space Research Organisation. The new deployable wrapped rib SAR antenna and RF system represents the next step as SSTL continues to push the boundaries for innovative, low-cost small satellite missions. Andrew Cawthorne, SSTL’s Director of Sales and Business Development said, that the novel antenna technology from OSS, combined with SSTL’s low cost remote sensing systems, are key enablers to realize a new generation of disruptive, cost-versus-performance, SAR and mixed SAR/optical missions. The company believes that there is a strong market for this new SAR payload, with a shift in the market toward small satellites in LEO constellations delivering increased revisit times and a demand for non-optical EO data or combined SAR/optical data. Shefali Sharma, Senior Commercial Strategist at Oxford Space Systems, added this collaboration under UK Space Agency’s NSTP Flagship funding allows for focus on maturing a variant of the firm's ‘wrapped rib’ antenna toward on-orbit demonstration. 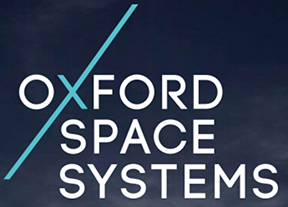 Oxford views this novel SAR payload as a key enabler for the next-generation of communications and SAR services from orbit. The antenna is highly scalable and tunable and has been specifically designed for volume production, targeting smallsat constellations. As such, it’s suitable for a range of commercial opportunities here in the UK as well as across the globe. Compared to optical sensors, the any-time/region imaging, capability of SAR makes it ideal for surveillance missions, which can serve both national security and environmental monitoring applications. A small satellite constellation approach that can be enhanced by launches of additional satellites at short notice would also fulfill requirements for resilience and responsiveness. 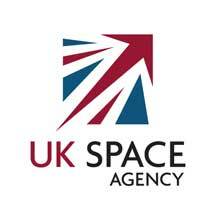 Dr. Graham Turnock, Chief Executive of the UK Space Agency, noted that the National Space Technology Program is all about supporting the development of space technology and skills to drive growth in the UK economy. The funding to develop this innovative Synthetic Aperture Radar (SAR) payload will enable an exciting collaboration on new technology that will be developed here in the UK and will be of huge interest to customers in Europe and the rest of the world.